If you’re not using a shampoo that’s specifically formulated for color-treated hair, you may be rinsing your color (and your money) right down the drain. One of the best ways to maintain vibrancy and keep color from fading is by choosing a gentle cleanser like Paul Mitchell Ultimate Color Repair® Shampoo. Banish brassiness in blonde, white and silver hair by choosing a violet-tinted, color enhancing shampoo like Paul Mitchell Platinum Blonde Shampoo™. It’s often difficult to get thick, coarse hair really clean because there’s just so much of it. Opt for a clarifying formula like Paul Mitchell Shampoo Two to wash away build-up without stripping hair of much needed moisture. Because coarse hair can also suffer from breakage and split ends, it can benefit from strengthening and rebuilding ingredients found in Paul Mitchell Super Strong® Shampoo. Does your fine hair fall flat no matter what you do? Your shampoo may be weighing it down. Look for lightweight formulas that contain body-boosting ingredients like Panthenol found in Paul Mitchell Extra-Body Shampoo. Or give hair extra lift at the scalp with Paul Mitchell Scalp Care Anti-Thinning Shampoo. Curly hair is the trickiest of all, but you can actually get better definition and bounce simply by choosing the right shampoo. Opt for gentle formulas like Paul Mitchell Spring Loaded® Frizz-Fighting Shampoo to cleanse without roughing up the cuticle. For those looking for hydration that doesn’t cause curls to go flat, try Paul Mitchell Rare Oil Volumzing Shampoo. Using the right shampoo for straight hair can actually cut down on your styling time. Look for ingredients that smooth the cuticle and boost shine for a smooth, sleek look. You’ll find them in Paul Mitchell Super Skinny® Shampoo and Paul Mitchell MirrorSmooth® Shampoo. Does your hair feel more like straw than silk? Opt for moisture-rich ingredients and amino acids to deliver intense hydration and softness. Try Paul Mitchell Lavender Mint Moisturizing Shampoo™ and Paul Mitchell Rare Oil Replenishing Shampoo. Oily hair types need a daily clarifying shampoo like Paul Mitchell Shampoo Two® to balance the scalp and rid the hair of excess sebum. Avoid using hydrating, moisturizing or smoothing formula as they can actually stimulate oil production. 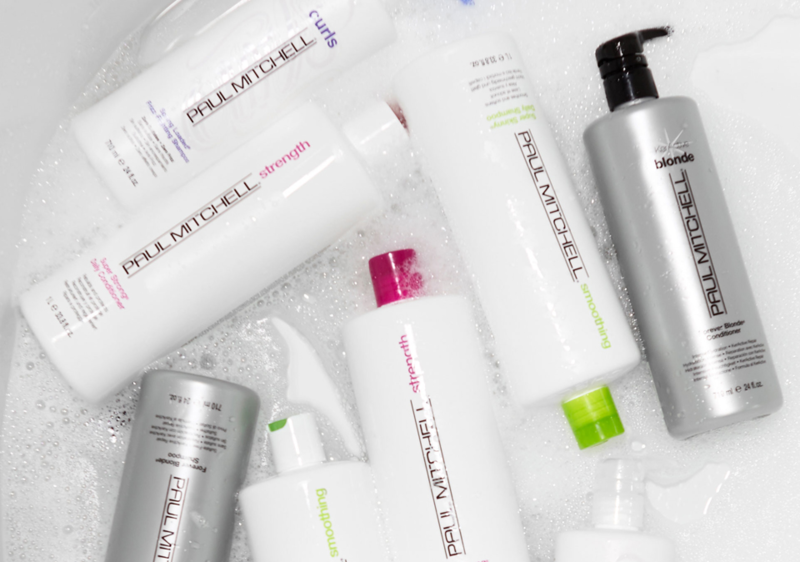 You may also benefit from a dry shampoo like Paul Mitchell Dry Wash® to absorb excess oil and add volume.